As the sole, black-owned private residential camp in the country, and by notably recruiting campers and counselors of color, we adequately support a program of multiculturalism and diversity. We strive to have our staff reflect our camper population, which indicates a beautiful range, including campers of varied ethnic, cultural, and religious backgrounds. We would love to get the word out regarding employment opportunities at our summer camp 90 minutes west of Chicago. Less than two hours west of Chicago, Camp Kupugani--in separate girls-only, boys-only, and blended (intentionally coed)--provides a multicultural sleepaway camp focusing on diversity and communication skills in a fun atmosphere, uniting children of varied backgrounds and providing them with empowerment and community-building skills, so that children aged 7 to 15 expand comfort zones and build character. Campers get to really focus on the development of communication skills, and general skill and character development … all while having the time of their lives interacting with a diverse group of campers. Campers learn new skills, make lifelong friends, and experience personal growth. 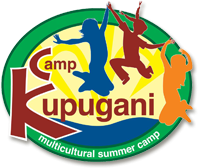 Camp Kupugani is an amazing summer camp experience where kids have fun changing their world!